Comments: Hackers and Painters was an interesting read. This is unvarnished Paul Graham from before his Y Combinator celebrity days. His writing has been a lot more controversial of late. 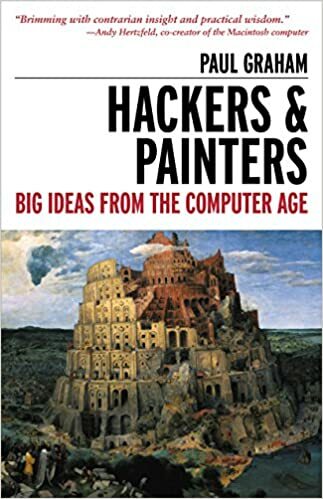 But, in this book, he shows up as a compelling writer sharing his notes on a wide variety of topics – from education to hacking to design to programming languages. The least sophisticated users tell you what you need to simplify and clarify while the most sophisticated users tell you what features you need to add. The difference between design and research seems to be a question of new versus good. Design has to be good while research has to be new. These two paths converge at the top – the best design surpasses others by using new ideas and the best research solves problems that are not only new but worth solving.